In January, I decided to set a reading goal. It was simple: I want to read more books in 2012 than I had in 2011. This week I finished two books. I loved both of them. Story: This is book one of Heath's Texas Trilogy series. Amelia Carson, a mail-order bride, arrives at a Fort Worth train station in 1876 expecting her fiancé, Dallas Leigh, to meet her and take her to his ranch. Dallas, however, breaks his leg before setting out and sends his emotionally and physically scarred brother Houston in his place. Amelia and Houston bond over their three-week journey to the ranch, and by the time they arrive at the ranch, where Dallas is waiting anxiously for his bride, they have fallen in love. Then they have to decide how to proceed, the importance of promises and the value of love. My Thoughts: Goodreads.com recommended this book, and based on their last recommendation, which I loved, I thought I'd try it. I haven`t read a historical western in a long, long time, so I decided a change of reading focus might be a good thing. I enjoyed this book. Amelia and Houston both have emotional baggage to help one another overcome. Houston is a tortured and scarred hero, so this is another Beauty and the Beast story (I love those). 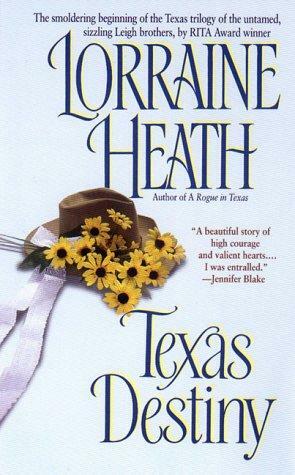 I saw some of the other reviews on Goodreads were concerned about the plot and the way that Dallas` interruption plays out in the story, but for me it worked. The second half of the book was the test to the love that blossomed in the first half. Sure, the characters loved one another, but their emotional baggage hadn`t been resolved by the time they arrived at the ranch and they`d made promises they felt obliged to fulfill. Both of those issues needed to be resolved for a satisifying happily-ever-after. Heath had me hooked from the first page, and I enjoyed the book right through to the end. Story: This is book one of Stevens' Graveyard Queen series. Amelia Gray, who is a graveyard restorer, sees ghosts, but she has been trained by her father to ignore the displaced spirits. Unfortunately, when a murder victim is discovered in one of her restoration projects, she is drawn into ghostly interactions, primarily through the intriguing and attractive detective, John Devlin, who is haunted by his dead wife and daughter. My Thoughts: In early January, I read Amanda Steven's book Abandoned, which was free on the Kobo. Abandoned was the prequel for the Graveyard series. I enjoyed it, and had decided then to look for more books in the series: the stories are about cemeteries, which I enjoy; there is a paranormal element, which I enjoy; and, most importantly, Stevens' writing drew me into the story. 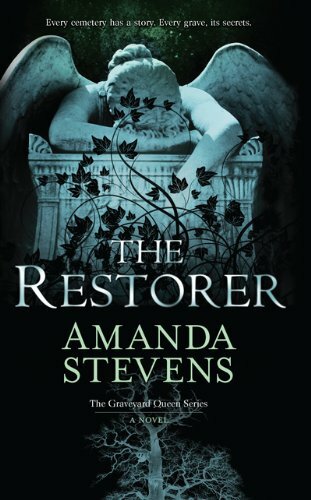 In The Restorer, Stevens' writing is poetic and spooky, making it even more enchanting than the prequel. The attraction between John and Amelia is nicely integrated, but it was only one of the many layers of the novel. I knew that this book was part of a series from the beginning, which is important for me. (I like to know from the beginning if I should expect all of the questions to be answered by the end of the book. In a series that is less important.) Stevens integrated enough larger character questions to keep the story flowing into the next book in the series, but the major plot questions for this novel were resolved. I highly recommend this book to anyone looking for a spooky and intriguing ghost story / murder mystery. According to Amazon, the next book in the Graveyard Queen series is to be release on March 27th! Yay!